When we trust in Christ, the creator of the universe literally indwells us, and that makes a visible change in our lives. Where is your favorite place you ever lived? How did your inhabiting that community change it? Pastor Chris pointed us to Luke 4:18-19, where Jesus reads from Isaiah (61:1-2). Then Jesus stops mid-sentence, closes the book, and sits down. When Jesus did this, He perfectly exemplified all three of those marks. How urgent is the world’s need to hear about Christ? Does that affect your boldness? If Christ actually indwells us, how much victory over sin can we expect? Is there a limit? Natural fruit has taste, smell, color, texture, and so on. The fruit of the spirit has several features, as well. If you were to look at the fruit of your life in the same way you look at fruit in the grocery store, how much would you want to share it with others? For deeper study, as an alternative to the questions above, read Isaiah 61:1-11 and use the Discovery Bible Method to explore the passage. Getting to know you: When you think about God being present with you at all times, do you feel convicted over the way you spend your time, or the things you’ve been showing to God? Or do you feel the comfort that comes from abiding in Him? Getting to know them: Can you think of a time that God really got a visible victory over sin in your life? Don’t be afraid to ‘get raw and real’ and share your story. Give God credit where credit is due! Getting to know Him: God has more promises in that passage in Isaiah 61 that Jesus was reading. Continue reading Isaiah 61:1-3. Why do you think Jesus stopped reading where He did? Engaging at Faith Promise: Please join us as we do a church-wide 21-Day Fast beginning Monday, January 7. You can fast one meal or one day, one meal per day, or do a Daniel fast. You can fast from social media or television. Fasting is not a diet to lose weight. When you fast, use the time you would have spent eating/posting/scrolling/watching to read God’s Word and specifically pray for a fresh filling in your life and for other Promisors. If you are looking for a place to start your scripture reading, join Faith Promise in our Bible reading plan. You can find the One-Year Bible Reading plan in the back of your “Follow the Filling” devotional book. The book is available FREE at each campus and includes a devotional for each day in January. Engaging in Community: Jesus was “anointed to bring Good News to the poor.” He also gave us the Great Commission (Matthew 28:19). Who are the poor in your community, and how are you sharing the Good News? Engaging the World: There are prisoners out there who need to hear about Jesus’ atonement. Each and every one of them was made in the image of God, and many are ready to hear about the hope of the resurrection. 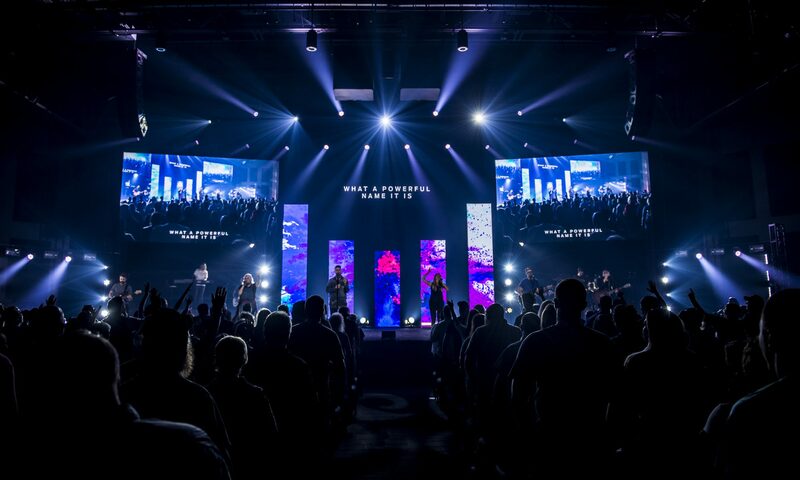 Let the Lord lead you by His spirit to engage with them as much as you can, from praying for them and those who visit them, to serving them through one of our God Behind Bars campuses. It’s interesting that Jesus uses the analogy of a vine in John 15, because vines spread on their own; they will climb up and cover everything next to them if they’re healthy and allowed to grow. Are you healthy in your relationship with Christ? Is there anything coming between you and Him? Are you covering the things next to you in prayer? How can you spread God’s love to places that haven’t had it before? A completely surrendered and clean heart allows the Holy Spirit to fully work in a believer’s life. Do you have any cleaning projects for the new year? 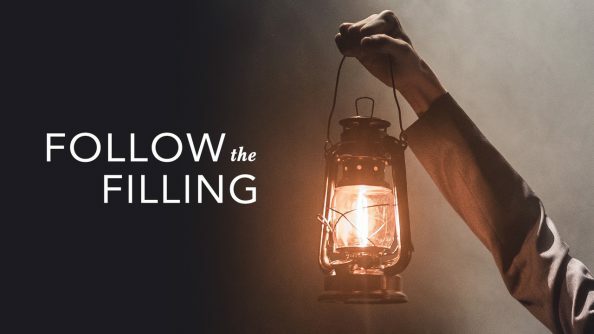 This week, we started our new series Follow the Filling with a look at “A Place to Land.” We know from scripture that the Holy Spirit fills and indwells the believer at the moment of salvation. As a believer submits and surrenders their life to Christ, they are transformed by the Spirit into His image. This is our progressive growth in holiness. Because we know the Spirit will not fill a “dirty vessel,” it is necessary for believers to clean their vessel (heart) with confession and repentance of sin. The more the Spirit fills us, the more we can live the abundant life of victory and experience God’s presence. That way, believers are able to follow the Spirit wherever He leads! Read Luke 4:14-21. Luke 4:18-19 is our theme verse this year at Faith Promise. These verses came from the prophet Isaiah. Read Isaiah 61:1-2. Which of these promises of who Jesus is and what He will do means the most to you right now? Who are the poor and brokenhearted today? Explain how one is captive or imprisoned today. Who can set them free? How is one “blind” today, and how is “sight” restored? Who is God laying on your heart that needs to hear the good news? How will you trust Him to give you every word to share the real love and hope found only in Jesus? How does knowing the SAME Spirit of God that equipped and enabled Jesus’ ministry dwells in your heart affect your outlook for 2019? What in your life do you allow to limit the filling and power of the Spirit? What is God asking you to surrender so He can fill you to overflowing with His Spirit? This week, our focus was providing a clean place for God’s Holy Spirit to land. In smaller groups of 2 or 3, discuss and encourage one another on the importance of keeping short accounts with God—that is to identify, confess, and repent of our sins in order to allow the Spirit to fill us and work in our life. Partial surrender is not surrender at all. God’s wants our all. If possible, share how God has blessed your submission to Him. Engaging in Community/Engaging the World: God called each of us out of our poverty and imprisonment to a life of freedom found only in His Son, Jesus Christ. How will you, in the power of the Holy Spirit, share the Good News of Jesus Christ to a hurting a dying world? Step out in faith and share the only lasting source of hope and freedom. How will you surrender “All” this year and follow the filling in humility and compassion? How will you share the good news of the gospel of His real love? Sin weakens and breaks hearts, and Jesus came to bring good news to the poor—forgiveness for their sin. We are all poor and brokenhearted until we surrender our life to Christ; we are all hopeless sinners in desperate need of a Savior! (Matthew 11:5) We are all poor in a spiritual sense until we surrender to Christ, but your group may share prayer requests at this time for those they know experiencing material poverty or grief. Sin makes people captive and enslaves them. The Messiah/Jesus came to set us free! (Romans 6:6) Other answers may include prisoners of war, people captive in human trafficking, or those imprisoned by addiction. Answers will vary. Encourage sharing the truth with boldness, humility and compassion! We cannot do this on our own, but we can in the filling and power of the Holy Spirit! Answers will vary. This can lead to an in-depth discussion. Lead your group members to see that we cannot fulfill our Christian calling and go on with our lives doing as we like. Christ wants ALL of our lives not just parts we are willing to share. 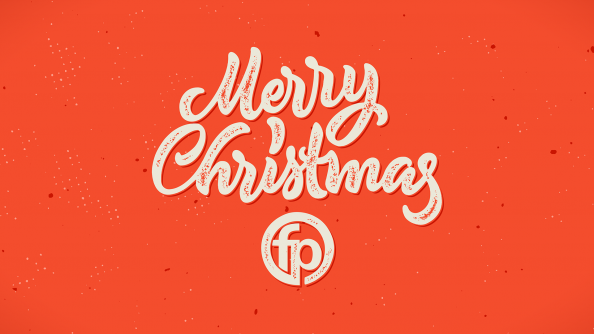 Merry Christmas from Faith Promise Groups! Discussion guides will resume January 5th. All of history leads up to the coming of our Savior. God has always had and still has a plan. How is your Bible reading going this year? It’s not too late to connect with God our Savior through His Word! Share what God has been teaching you during your time in His Word. This week Pastor took us through a quick review of the Bible. No matter which book of the Bible is read, its focus is on the Savior. In 1 Samuel 17:46-47, David tells Goliath that God doesn’t save by spear or sword. In Psalm 43, the psalmist laments his situation, but in the last verse he says God is his Savior and his God. In 2 Peter 1:10, the Apostle encourages readers to confirm their response to God’s invitation. All those words, 39 books in the Old Testament and 27 in the New Testament, point to the Savior. 1. Spend some time reading the following passages aloud in your group, and meditate on how God is the same yesterday, today, and forever. For example, the prophet Isaiah foretold in Isaiah 9:6 of a “Prince of Peace”. How do prophecies and their fulfillment increase your faith and trust in God? 2. Between Malachi and Matthew there are 400 years of silence from God. Was there inactivity among God’s people? What did you learn this week about how God was preparing the world for the birth of His Son? Consider that when the Romans ruled the world, including before and after Jesus’ lifetime, they built roads everywhere. These roads provided an easy way to travel. What missionaries took advantage of these roads (see Acts 15:40-41)? 3. What does the above teach us about moments in our lives when we feel God is silent? For deeper study, as an alternative to the questions above, read Genesis 18:1-15 and use the Discovery Bible Method to explore the passage. You may want to compare and contrast this unexpected announcement (and response) to the announcement to Mary about Jesus’ birth in Luke 1:30-33. Make sure everyone in your group has a place to go at Christmas. If they do not have family or friends joining them, make plans to spend time with your group family this Christmas. 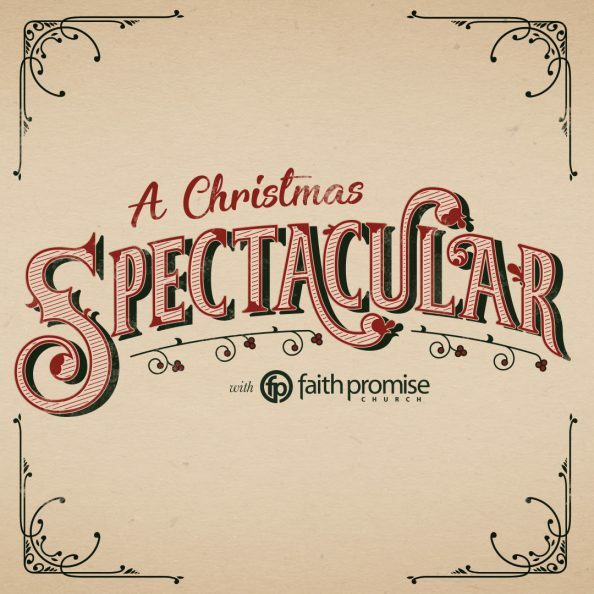 Engaging at Faith Promise: How are you serving for the Christmas Spectacular at your campus? Engaging in Community: Do you have any neighbors who may be lonely this time of year? Invite them over for coffee or cocoa! Engaging the World: Pray for Faith Promise missionaries this holiday season. Christmas can be a difficult time to be far from home. 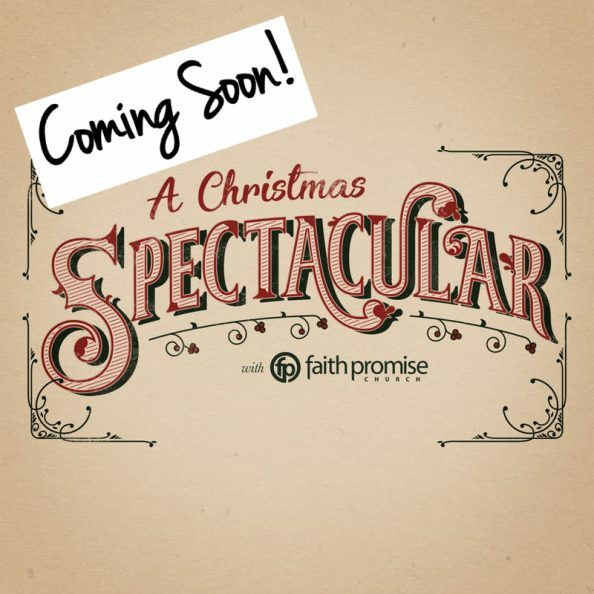 Who are you inviting to the Christmas Spectacular? 2. During the time between Malachi and the birth of Jesus, Alexander the Great conquered the known world. Greek became the common language. Then the Romans Empire arose, and the Romans built roads to connect their empire. These roads later allowed missionaries like Paul and Silas to travel and spread God’s good news.